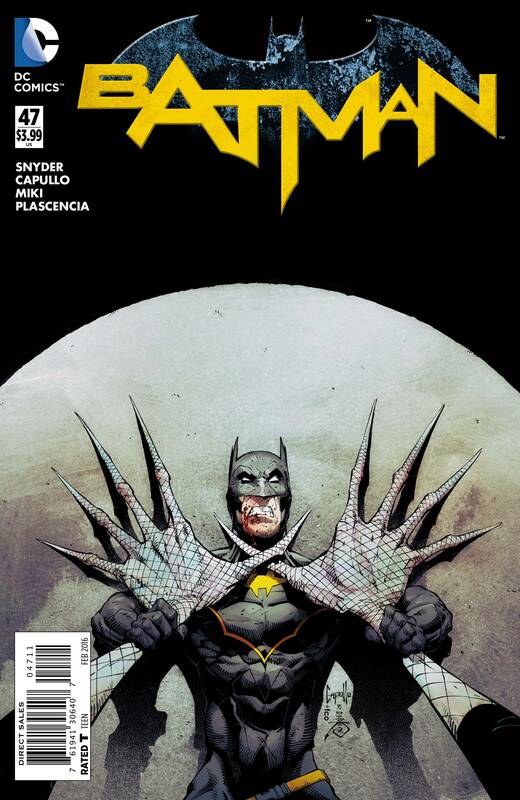 In a story set post Zero Year, Batman has defeated the Riddler but crime in Gotham is on the increase as the city recovers, and a new rogue’s gallery of super-villains is thriving in the chaos. 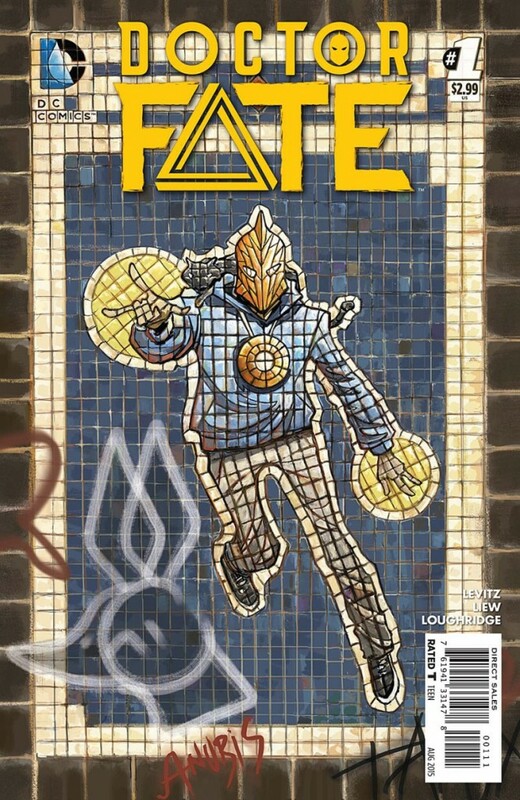 When the body of fifteen year-old Peter Duggio is found after being shot and dumped from on high, Batman vows to find out who killed the teenager from the crime-ridden area of the Narrows known as The Corner. The rivalry between the Penguin and the ruthless Four Fives gang leads Batman’s investigation down a dark path, one were the tragic circumstances of Peter Duggio’s life became inexorably entwined with his struggle to escape from gang culture, and the desperation that ultimately allowed Mr Bloom to thrive in the aftermath of Zero Year. 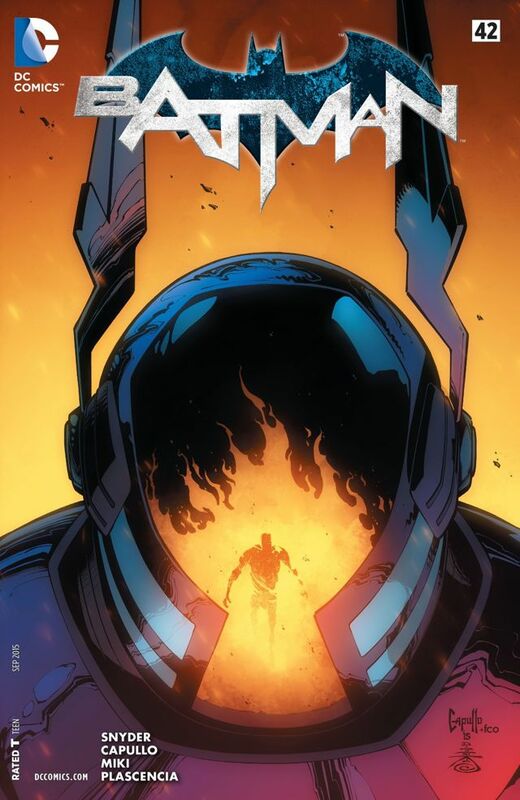 Batman #44 is quintessentially a special one-shot introduction to the new villain of the current Superheavy arc, Mr Bloom, and is set during the early days of Bruce’s time as Batman. 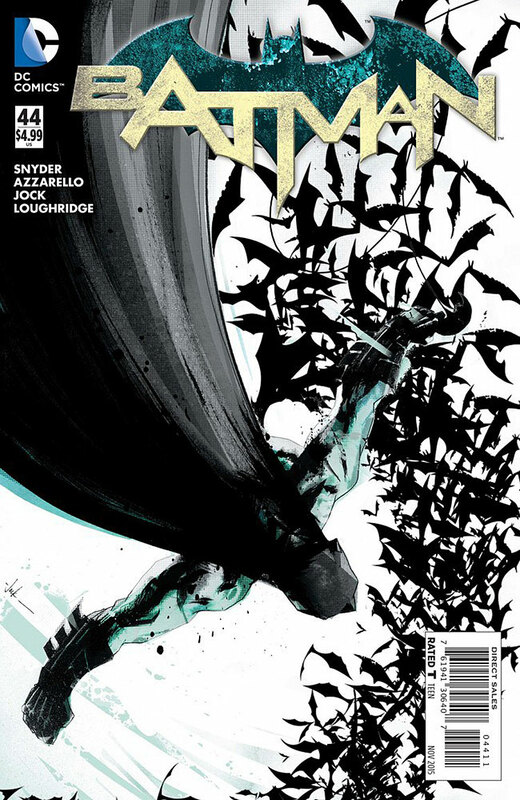 In this issue Scott Snyder and Brian Azzarello not only offer a flashback to Batman’s life following the events of Zero Year, it’s a story that also forms the basis of the core issues on which the current arc is built, and the events which Jim Gordon is dealing with in the present as Gotham’s new Batman. 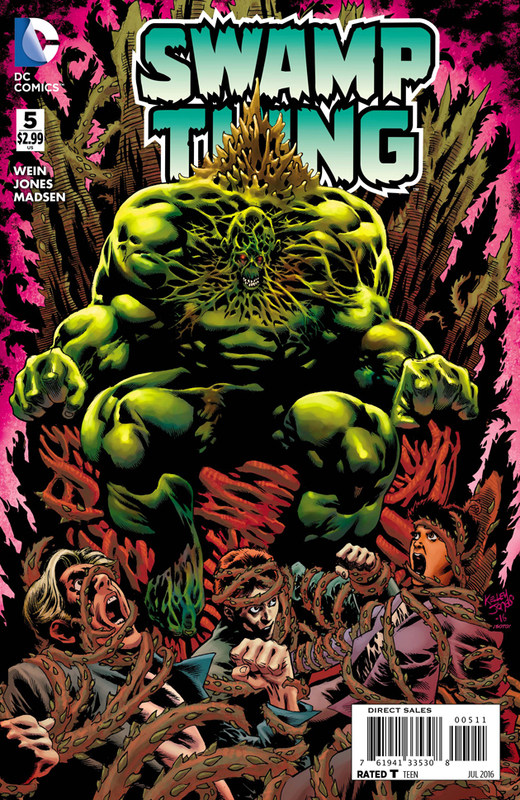 It also shows how Mr Bloom’s story began, and provides us with a fascinating glimpse into the area of Gotham that allowed this mysterious new villain to blossom and thrive. 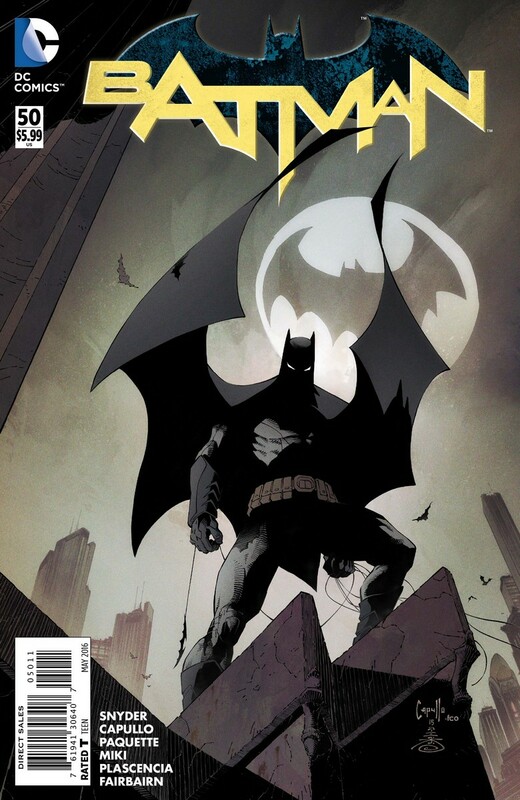 Jock’s incredible artwork on this issue of Batman brings Snyder’s and Azzarello’s story to life in a way that makes it feel like the whole world has just slowed down around you and faded away to nothing while you become completely engrossed in the issue. From the bleak stillness of the Gotham Marshes, we are propelled into an electrifying confrontation with the Penguin, coils of evil slowly encircle Peter Duggio’s life in vivid detail, and soaring from the lush garden of deprivation the moving finale is punctuated by a faint tinge of hope… The Gotham that Jock depicts in Batman #44 is grittier, grimier, with an almost a pulp-noir tinge at times, the dark brooding streets, driving rain, looming shadows, brutal violence, and newspaper clippings interspaced throughout the panel layout at key moments of reflection all heighten the sombre mood as story and art fuse seamlessly as one. 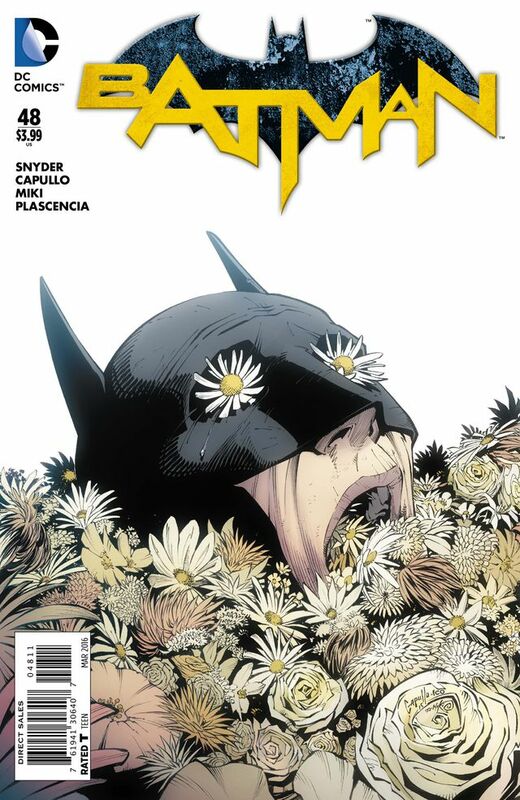 The color art by Lee Loughridge is also excellent, with cool muted tones dominating the early half of the issue, before richer hues gradually seep in to accentuate key emotional beats, and the way the gentle simplicity of a bunch of flowers leads us into the wild overgrown area of Gotham is utterly sublime. 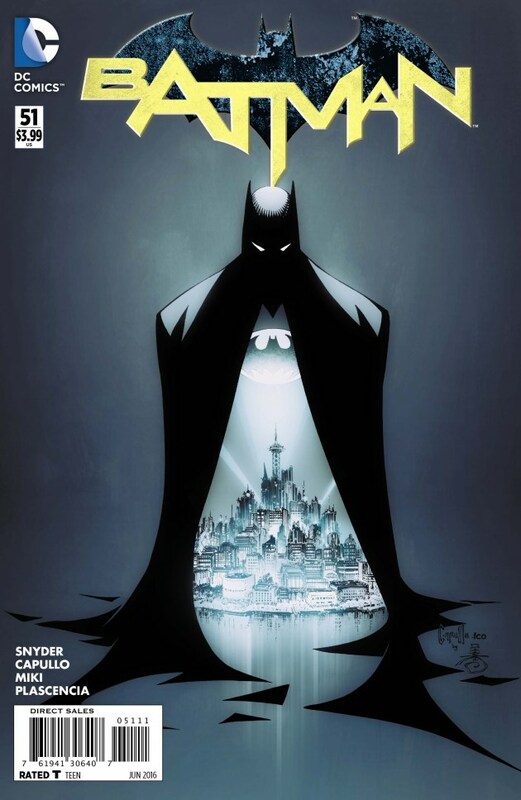 Scott Snyder and Brian Azzarello have crafted a tale that reaches right into the crime-ridden belly of Gotham City. 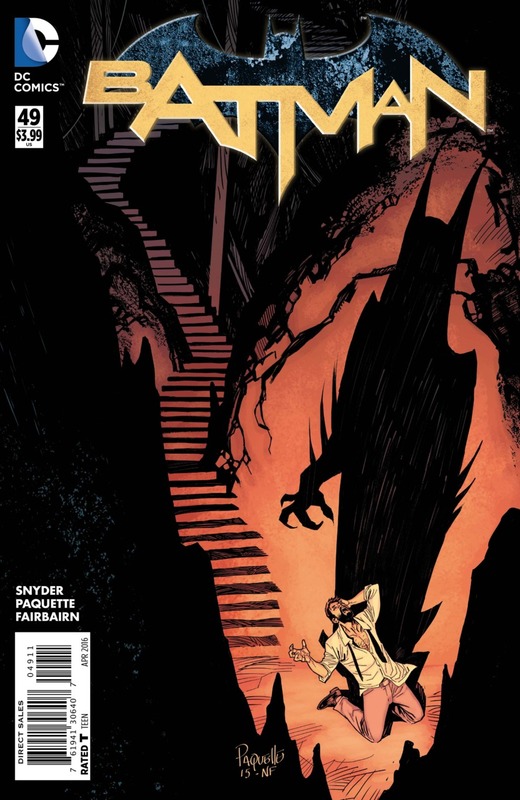 Batman’s investigation into Peter’s murder turns The Corner over like a stone and uncovers all sorts of secrets squirming around in the darkness. 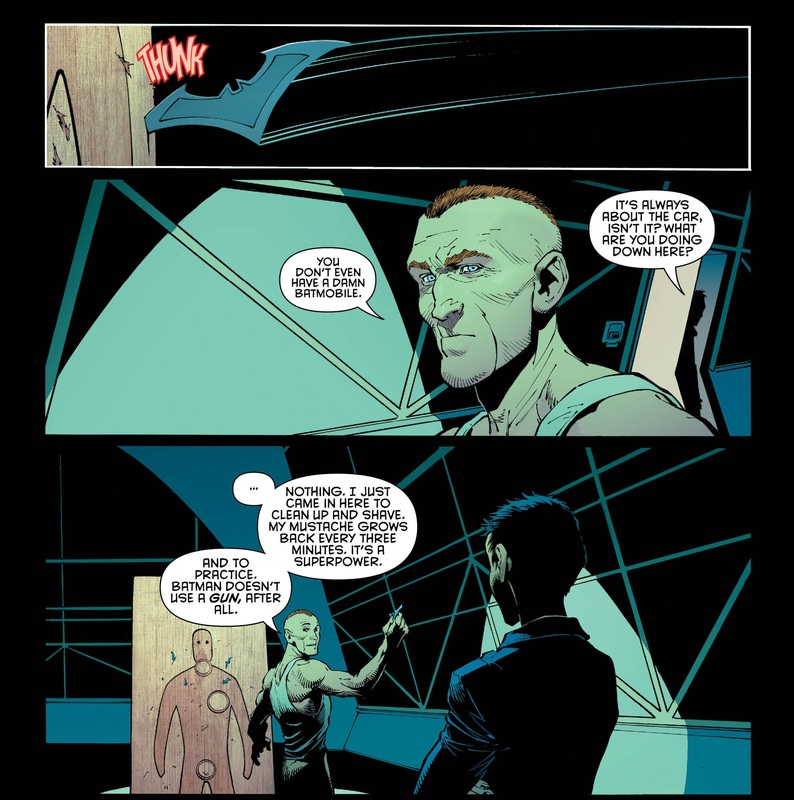 Its interesting to revisit Batman during this post Zero Year period, where Bruce Wayne thinks he knows everything about Gotham, but where in reality, despite all the years he spent away training and the latest technical upgrades to his Bat-suit and the cave, he’s actually only just beginning to scratch the surface of what he really understands about Gotham City. 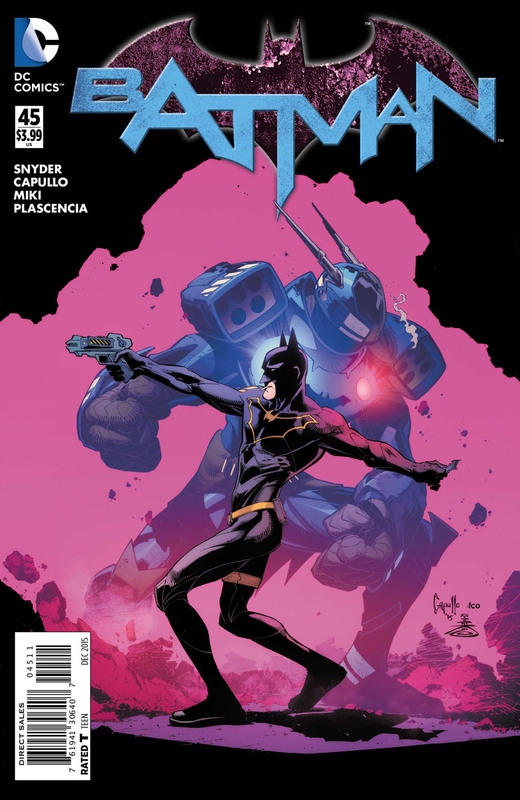 Batman #44 doesn’t shy away from tackling some extremely difficult social and moral issues. We discover why The Corner is a slum, where segregation, corruption, and crime divided communities and gave a new kind of evil the opportunity it needed to take root in the cracks of society where it bloomed in the fertile soil of violent crime and social deprivation.